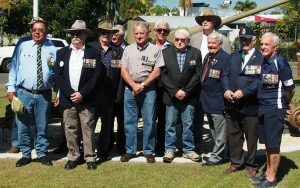 Vietnam Veterans Day was celebrated at Tin Can Bay ANZAC Memorial Park. We were joined at the service by a small group of veterans, school students, community members and Mayor Mick Curran. 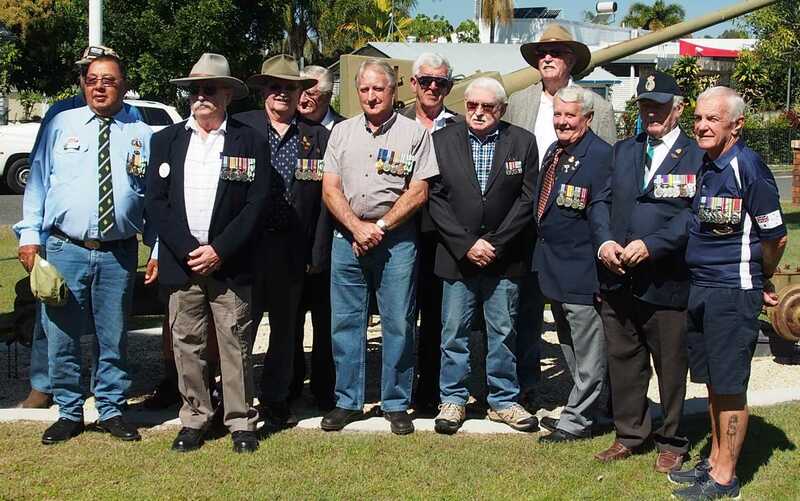 The RSL Sub Branch is open to everyone, whether you are a veteran or not. Tuesdays and Wednesdays, 9.30am and 11.30am we open the drop-in centre, open for anyone who wants social interaction. The first Tuesday of each month is the Carers’ meeting when a member of Carers Queensland comes along to answer questions. Qualified JP’s also attend some of these sessions. The second Tuesday of the month is the free veterans and community morning tea, with live music and tasty treats from 10am. Now the weather is warming up our famous Sunday BBQ (noon to 2pm) is getting quite busy as we have the best burgers in town! Local musicians play from noon and raffles are drawn at 2.30 pm. All members of the community are invited. Find out more call Christine: 0413 182 601. 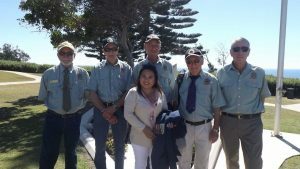 The ceremony was held at the Rainbow Beach cenotaph and was attended by veterans, families, friends and members of the general public to remember this significant event in Australian war history. In his address, RB RSL President Joe Casey spoke of the generational impacts of the Vietnam War on Veterans and their families both during and following the war. Guests at this event included Reverend Bruce Dorman and his family and from the far south veteran Spider and his wife. The RB RSL Sub Branch extend their thanks and appreciation to visitors and those who supported Rainbow Beach Vietnam Veterans Day 2018.